When looking through emails I realized a common trend, many people emailing me were soon to be college freshman asking me about different things to take to college! 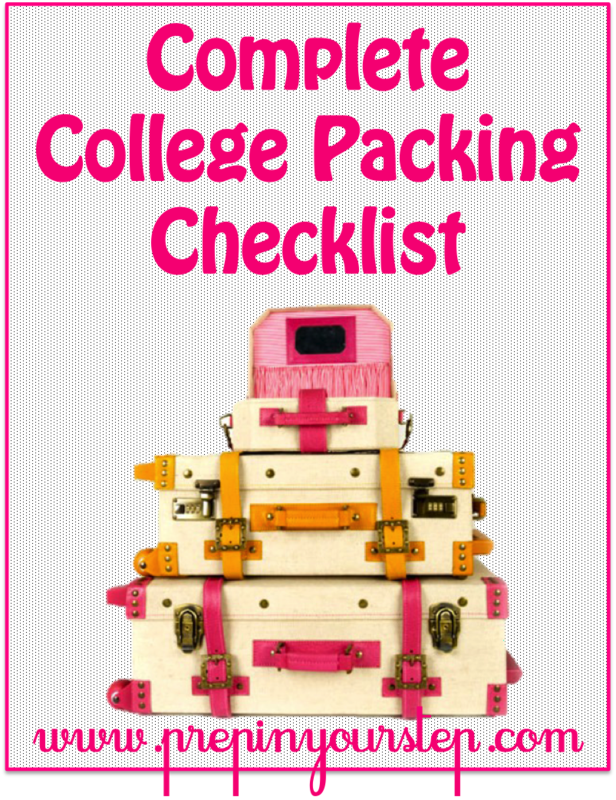 I know I wish I had a bit more advice about what to take before heading off so I have created this Complete College Checklist! WHEW! 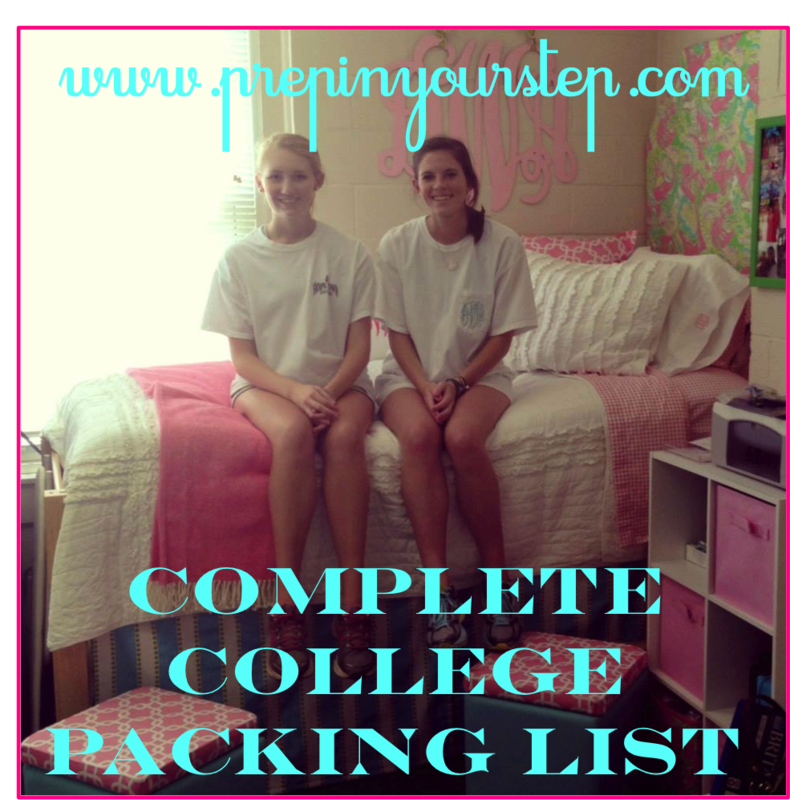 I better start packing for sophomore year starting now! I hope this helps you out no matter which year of college you are about to tackle! Please let me know of anything that I could be forgetting so that I can add it to this list to make it even more complete! I clearly did not include clothes in this list because that is something more personal that you will need to tackle however i do recommend periodically switching out your closet between seasons so that you only have clothes necessary for the present season with you at school! Good Luck and I'd love to know what you think! Great list! I will have to remember to come back to this next year when I go to college! Thank you for posting this! It's been a big help. I just started my blog and I'm going to make similar college posts among other things! Please check it out! Very helpful! Even though I'm also a sophomore, I won't have a lot of time to pack once I get home from vacation, so this will definitely come in handy. this is very helpful!! thank you! Almost taking more reviews on which we would be able to write more things also getting knowledge of the recent contents certainly considered to be so important. It must be taken by every student. the Wall Street Journal – UK Replica watches that this is just the first three months It is going to be sold.Wall Street Journal news that become supply chain between the Designer handbags half and remianing 20% ? ?of the obvious differences between entry-level and third Apple Watches Replica sports flexibility and high-end version of the look Apple is it.You can play in the first half Replica Rolex Watches 7500000– final new product releases by the company – According to handbagreplica .